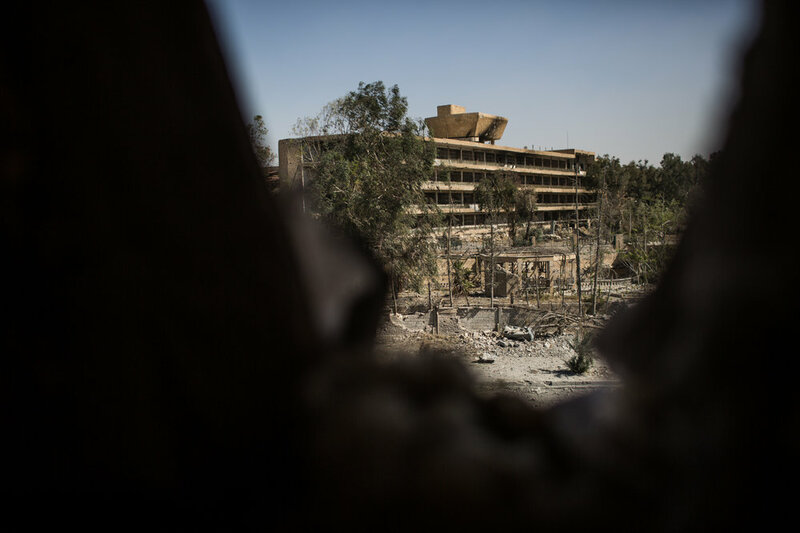 The national hospital where there is a large number of civilians is seen through a hole in a SDF forward position in the west frontline of Raqqa at about 600 meters. 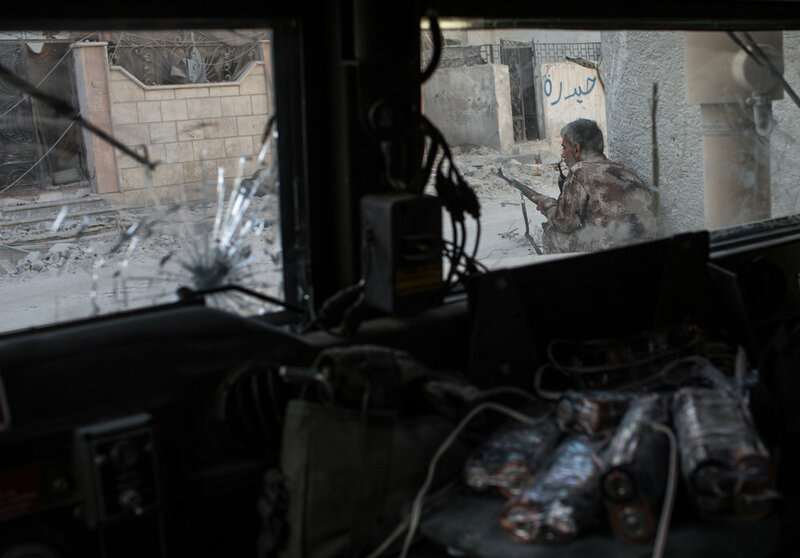 An SDF commander awaits instructions in a forward position near the children hospital in the west frontline of Raqqa. Occasional fire is exchanged by ISIS fighters in the National Hospital and SDF forces in the west front line. Coalition airstrikes are constant in the ISIS positions in the front lines of Raqqa. Estimates say that from some days ago 10-20 airstrikes and artillery attacks are taking place daily. 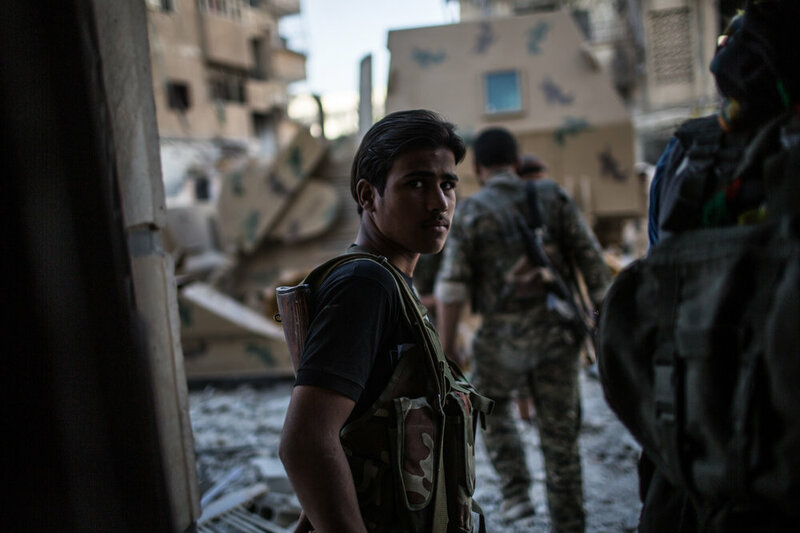 A young arab fighter prepares to move to the front line in the west side of the city of Raqqa. The SDF forces don’t count with a large number of men to secure liberated areas, new fighters come to the front line they do it with the few armored vehicles each unit has. 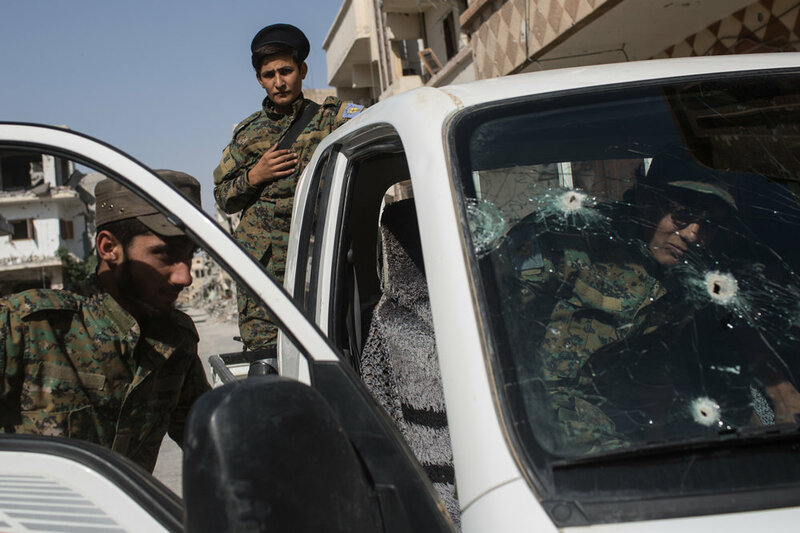 Sniper fire stops the advance of convoys of fighters to the front lines of the city. Precision airstrikes are called by the ground troops to the coalition air support. Mortar fire is fired near a SDF positions that is trying to advance in the western front of Raqqa. 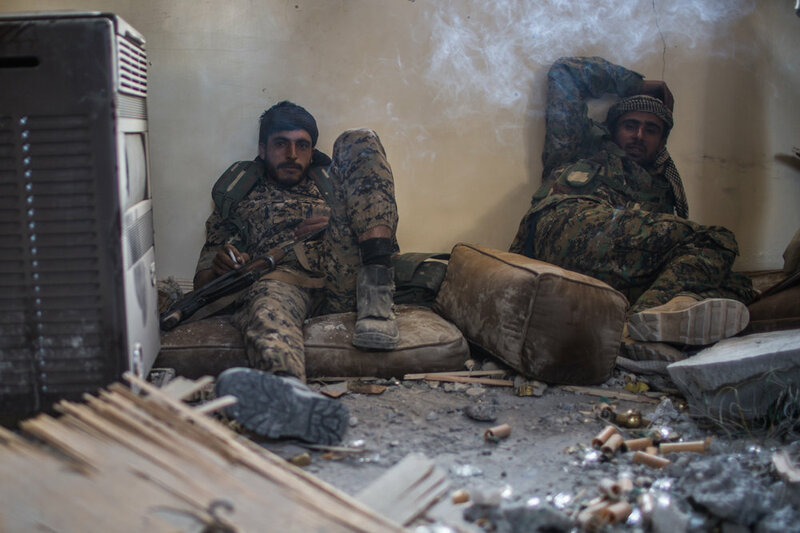 An SDF unit waits inside a destroyed house while some occasional shelling hits the nearby area in the western front. SDF fighters shoot an RPG against ISIL positions near the National Hospital of Raqqa where is feared a large number of civilian remain. 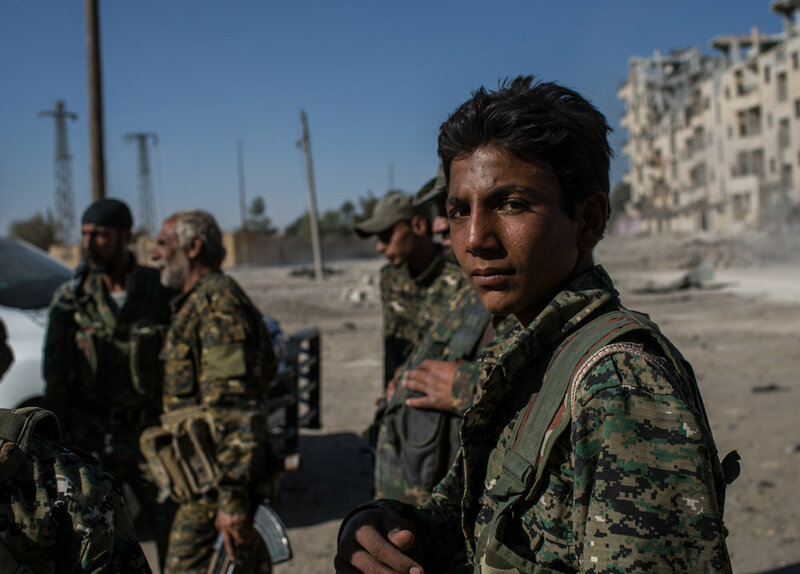 Some SDF commanders say they have a lack of men and that fighters are exhausted after months of fighting. Fighters prepare to leave after shelling diminishes in the western front. Fighters prepare to distribute food to units in the the eastern front. 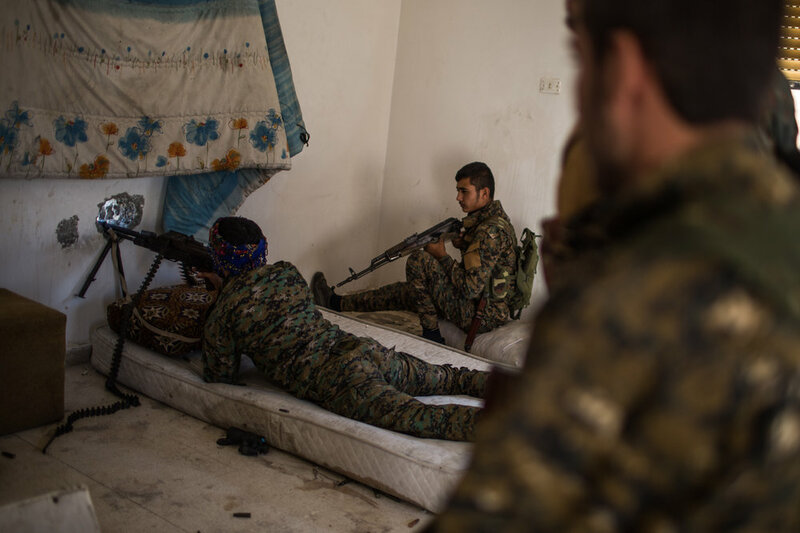 SDF fighters in the Eastern front of Raqqa have been waiting for some days in the same position for the order to advance in the frontline. Ain Issa refugee camp holds around 2000 persons mostly Arabs that have fled the combats in the city. A new camp is being built and new families arrive some from Deir Ezzor where SDF units are still fighting ISIL militants.